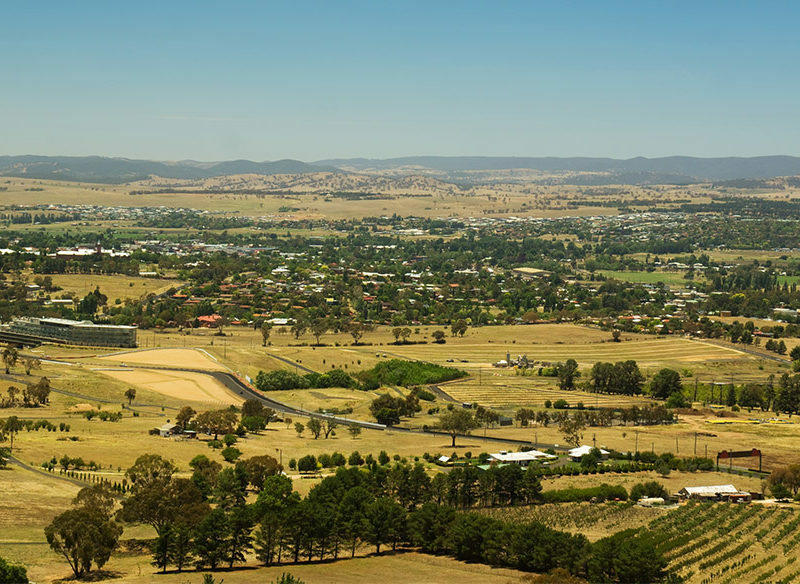 Bathurst is famed for its motor racing, but if you’re not about adrenaline and action, here are 9 things to do at your own speed. With a permanent collection of more than 1500 works by 400 Australian artists, the Bathurst Regional Art Gallery displays curated exhibitions plus a diverse range of touring exhibitions. 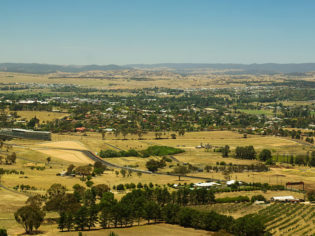 The Bathurst Regional Art Gallery collection was established in 1955 and is now run by the Regional Council who welcomes 30,000 visitors each year. BRAG stages approximately 25 exhibitions per year, including touring exhibitions, specially curated exhibitions, community exhibitions, local artist projects, exhibitions curated from the permanent collection and the work of Hill End artists produced as part of the gallery’s artist residency program. Church Bar is set in an old Anglican church school house in a cobbled laneway, this cosy, dimly lit wood-fired pizza bar is perfect for a casual, cheerful meal. Expect the unexpected at Church Bar, with a seasonal menu that showcases the best of the region’s produce. They also have a tempting specials menu that changes each day, with happy hours to delight for days. This family-friendly gastro pub has an ultra modern fit-out, a sophisticated menu and beverage list and superb service. You’ll find all the allures of a classic regional pub, in an architecturally designed, boutique space that boasts a light-filled front bar, relaxed pub dining, a cosy lounge and fireplace setting, private function areas and guest accommodation. Tucked at the back of the Webb Chambers heritage building, Webb & Co beverage Emporium is a great place for a pre-dinner cocktail, craft beer or local wine. Don’t let the small scale fool you, this local haunt goes big on grandeur. Think classic cocktails, locally grown wines and craft beer, all in a historical setting. Owned and run by Frenchman Philippe Le Gall, this popular cafe is renowned for its lemon tarts, macarons, éclairs, fruit tartlets and freshly baked bread. And while it may seem like a strange place to put a slice of Paris, the locals are not complaining – with lines often stretching out the door. So you better get in quick! Whether you’re in the market for something for your home or just browsing, Courtyard Décor has a beautiful array of quality French Provincial-style pieces. The staff are ever-so-friendly, with an innovative team of designers, manufacturers and creators on hand to help make your decision-making process seamless. Because you can’t come to Bathurst and ignore it! The National Motor Racing Museum displays some 50 cars and bikes, images, and racing memorabilia. This place celebrates the history, personalities and achievements of Australian Motor Sports. And while the local Mount Panorama and Bathurst 1000 is at the heart of the displays, attention is paid to the history of speedway, solar, drag, open wheeler, sports car, rallying and plenty more across the spectrum of Australian Motor Racing. Located just five minutes from town, Lochinvar Luxury Cottages are utterly cosy, come stocked with plentiful breakfast provisions, immaculate gardens and have lovely views across Macquarie Valley. The Cottages traditional in design with first class amenities at your disposal. It’s the perfect, private country retreat. Sydneysiders, stop at Mayfield Garden your way to/from Bathurst. This breathtaking 64-hectare property is one of the world’s largest privately owned cool-climate gardens and is inspired by an English country estate. Beautiful in every season, the 16-hectares of Mayfield Garden are open 363 days. The extensive array of pathways are designed to be explored, with many nooks-and-crannies to discover and the mobility-friendly Camellia Walk. It’s hard to plan a trip to Bathurst without the mention of Abercrombie House. Put simply, this place is a a national heritage treasure built in 1878, now open for public tours and special events. Take a guided (or self-guided) tour through the 50 room Scottish-baronial mansion taking in the exhibitions, displays, collections, grounds and gardens, outbuildings and property walks throughout the 18 hectares.